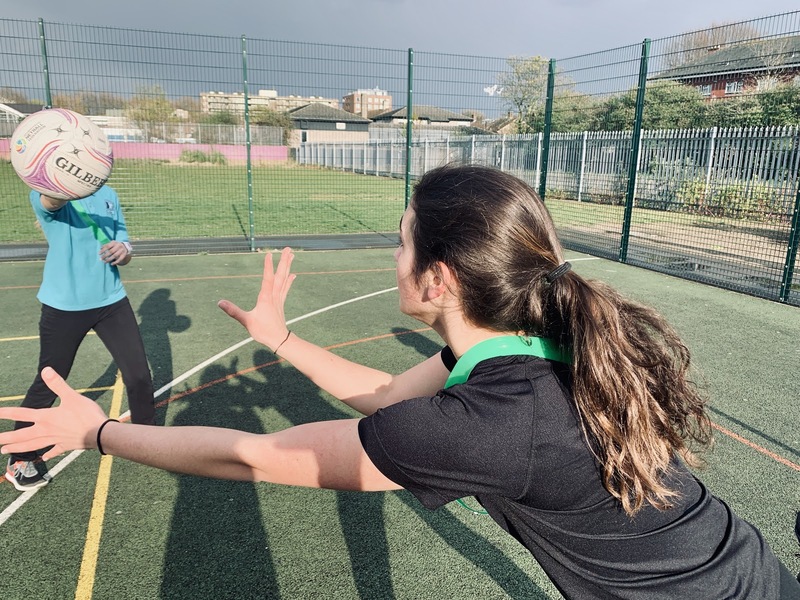 Amira (Goalkeeper), Ava (Goal Attack), Malaika (Goal Defence) and Marika (Goal Shooter) talk about their experience of BEK Development, controlling their inner hulks, setting up a community netball club and how to do a proper handshake. Ava: This Friday is our first night of Newham Netball. We've been working on it since the Autumn. It's been loads of work but I'm not regretting it ... not yet anyway! We wanted to create a community netball club for everyone. Well, actually there are two parts to it, Newham Unity and Newham Unit. Unity is a club for girls aged 13-16. 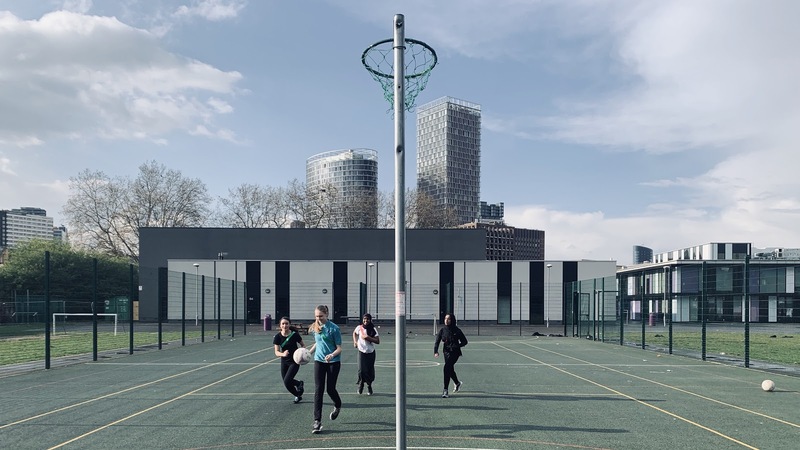 Unit is for girls and women, 14 and up from across Newham to play socially. I feel once you get past school, netball can get lost a bit and people can't always find somewhere to play and have fun. Especially older people, they might feel they can't play because everyone else will be much younger and fitter. Amira: Are you saying all old people are unfit? Ava: Ha ha ha. No way. Actually, Behind Every Kick has made me much more aware of what I say to people. I'm so much more reflective on the way I play and how I interact with other people. Malaika: Agree totally. It's benefitted us in ways I don't think we even realise. We used to have a different approach when we were winning or losing, we reacted differently than we do now. It's so nice to see how much we've grown and matured, and a big part of that has been the development sessions. At our last match, I was sitting off during one of the quarters - just watching us play - and I realised this team has changed. Amira: At first, when our teacher told us Behind Every Kick wanted to get involved with our netball team and help us build our culture, I wasn't sure. Some of us wouldn't come to the sessions; the energy wasn't right. But then we had an open conversation after Behind Every Kick asked for feedback. Ava: That was really good actually. Our school is quite progressive, so when I first saw the topics for the sessions, I wasn't sure if it would be different from what we were learning already. But now it's like we have our very own interactive team-building sessions for our netball team. Amira: Yeah, we said what from our perspective would improve the sessions and BEK really took our opinions on board.I look forward to the sessions so much. Sometimes if I am having a difficult day at school the fact that we have BEK Development afterwards, helps me push through and keeps me trying in class. ‍It now feels like we have so much input, it's great. We did a chest pass challenge where we saw how many we could do in a minute. Adrenaline got the better of us and we just started chucking it at each other, but by doing something physical, it reinforced to be successful we needed to work together. Amira: I am going to be honest and say of the four of us I get in the most trouble at school. I'm passionate and sometimes that gets me into problems; I speak my mind when maybe it's not the appropriate time. The session about our inner hulk was very useful with that, I really enjoyed it. We were able to see what we look like when we are calm and then what triggers us. For me it's unfairness, cheating and disrespect. But I've found ways to channel my aggression in the right way when I see something unfair. Now, if I'm angry, my mum lets me kick a football against the wall at home, hard, until I'm back to myself. We've also talked about keeping your cool in the sessions, when to pick your battles - you know, sometimes it's not worth it. For example, I'd get detention, which would be at the same time as netball practice. I wouldn't care and I'd just go to netball and then get into trouble, more detentions. But now I make sure I don't get detention in the first place. Ava: Being self-reflective both on and off the court is so important. Now I try to think about where I want to go, where I'm at, and where I have been. Marika: I can see the BEK sessions have made us come together as a team. Before we were like individual players who came together because we like sport, whereas now we have real team spirit. Even if we lose, we come back from it. Amira: Yeah Ms Hayes (our netball coach) even said to me the other day how we have built our team culture up from nothing. Before we were just small little friendship pairs, and now we are like a massive unstoppable ten-man friendship group. Amira: At the start in our heads we wanted to be a professional team, get everything right — no mistakes — WIN, WIN, WIN. That's changed so much. Obviously, we still care about winning, but not as much as having fun. Ava: Sometimes when I see other teams it feels like they are just about playing netball individually, not being part of a team. They are pushy, not supportive of each other. In one of our games, a player on the other team missed a shot and her 'team-mate' kissed her teeth at her. I thought, ‘Do you really need to do that?' I realised that would never happen on our team. I think that's pretty cool. That sort of thing is why I left my old netball club. It's partly why I wanted to set up Newham Netball and make it community focused. Sport can be so competitive. Amira: It's meant to be though. I had a big argument with my mum about this recently. Ava: Yeah but there needs to be a balance so that people aren't put off from playing. That's our aim for this new club which we are starting on Friday — for girls and women in Newham — to have an equal sense of community and competition. It has to have both, otherwise I think it's not enjoyable. Amira: That's what I'd say to other teams if they asked me if Behind Every Kick could help them. If you want to be a good sportsperson, a good person generally, it will help you. Ava: I want to pursue politics or law and I've learnt skills like leadership and communication that will help with my future. Having an open mindset is vital. Amira: Those skills go into everyone's future. You think these things are just important for sport but quite clearly, they're not. I want to be an engineer — which has nothing to do with sport — but all the skills I've learnt here can be applied to any job. Ava: Communication is a great example. It might seem that it's not that important, but it affects everything. 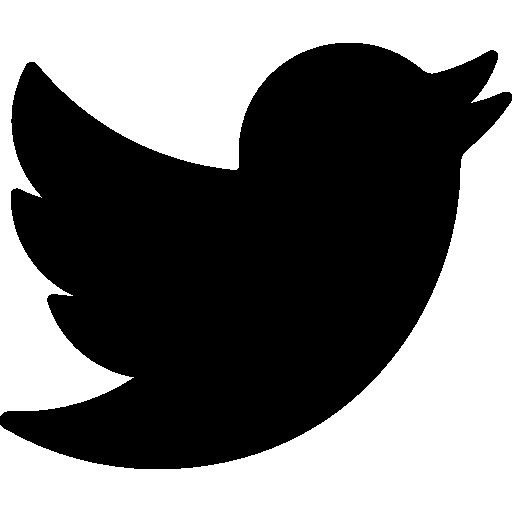 All your relationships on the court; in the workplace; your friendships and your family. I remember in one session that was all about first impressions we learnt how to do a handshake properly. Amira: I was just about to say that. Ava: It seems like something so minor but you can tell so much from a handshake. Amira: You have to grip it properly, but not try and break the other person's hand. Marika: I absolutely hate it when the other team give you a sloppy handshake at the end of a match like they don't want to touch you. Amira: Yeah. It gives the impression that they think you're nothing. I'd never want to do that. Read more about the Newham Netball initiative as part of The Daily Telegraphs Girls, Inspired campaign.